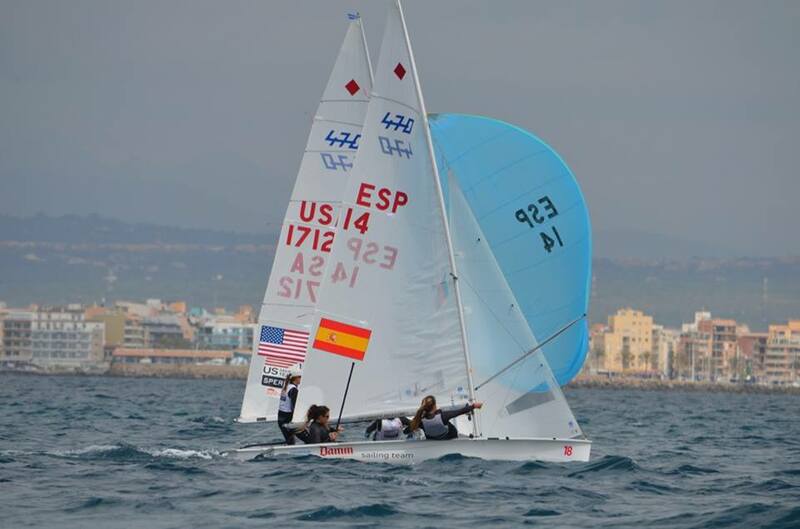 Bárbara Cornudella and Sara López, better known as the “team Cornudella-López”, are passionate about sailing since they were very small. 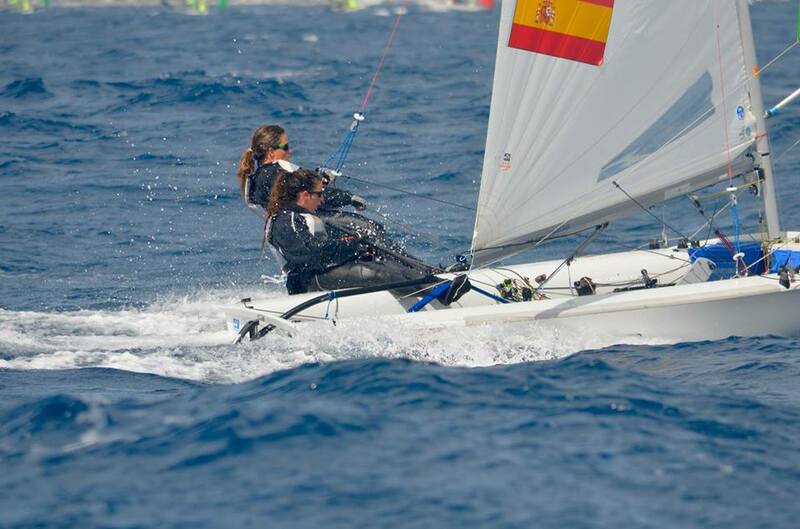 These two Catalan cousins ​​started in the world of sailing since they were child when their parents decided to try an Optimist. Their mothers were already sailing together, they carry it in their blood and they have not been able to “escape” from this world that they are so passionate about. Together they have participated in numerous international and national championships, and their most important competition, to date, has been the Rio 2016 Olympic Games. 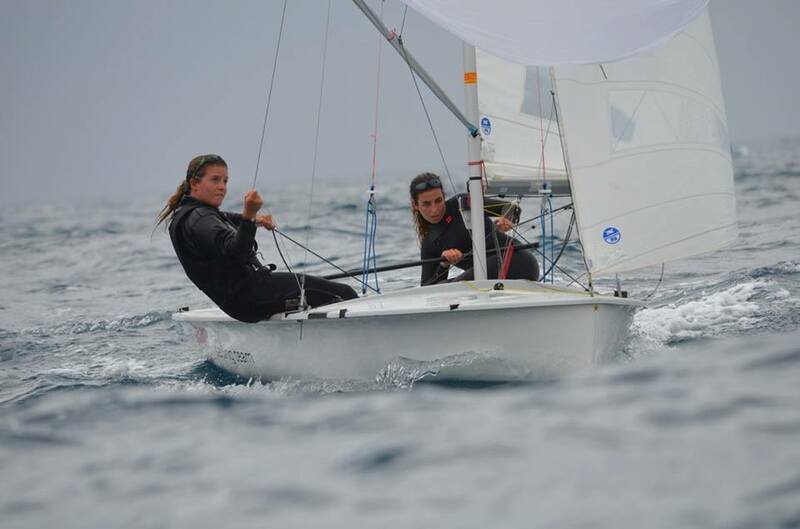 Barbara and Sara compete in the Olympic sailing class 470, it is an international class of boat that was designed by André Cornu in 1963 and since 1976 it is an Olympic class in men and since 1988 in women. Its name is taken from the measurements of its length and is a boat for advanced navigators and with a very technical rig. Bárbara Cornudella and Sara López have our support and are members of the sports team of Patrocina un Deportista, and together with this company we have been able to talk with them and know them a little more: how they started in this sport, what their concerns are, how they prepare for your next challenges … An interview so you do not miss it! QUESTION. How did your hobby for sports start? ANSWER. For our family. We are cousins-sisters and our mothers were already sailing together as young people. So since we were born, we have practically spent all the vacations in a velerito that the family has. More than fond of sports, we love the lifestyle. Q. At what time did you start to practice sailing? Why this sport? A. We started sailing, as a sport, at 5 years old when our parents had the brilliant idea of ​​getting into an ‘Optimist’ (it is an international sailing boat class focused on children between 6 and 15 years old). At the beginning, neither of us wanted to navigate … what child likes to get wet and cold in winter? But after a few years we got hooked and now there is no one to take us out of the water. Q. What does sport imply in your life? A. Sailing is not only our sport, but it is our way of life. Q. How are you preparing the Olympic cycle until Tokyo 2020? A. Looking to Tokyo, we are focusing every season with our own objectives, especially results. But in addition, we are preparing intensely in the physical theme. Q. How is your training routine? A. When we do not have competitions we are focused on a base – this year has been Barcelona – where we train five days in the water and three or four of them also in the gym. Q. Nutrition is a very important factor for the life of an athlete. Do you have a specific nutrition plan? A. A few months ago a nutritionist entered the Federation that will take us to Tokyo. He is the one who is going to plan us until the next Olympic Games. Q. How do you describe yourself as an athlete? A. Difficult question! I imagine that the best describes us is that we are positive-minded people. Our training as athletes has focused on highlighting our strengths, in order to deepen the weak and improve. And for the moment … it has given us good results! Q. What sportsman do you admire? A. Santiago Lange. It is one of the most important international figures in the world of sailing. He is Argentine, naval architect and has participated in six Olympic Games getting bronze medals in Athens 2004, Beijing 2008 and gold medal in Rio 2016. Q. Do you consider that you have had to sacrifice many things in your life to be able to dedicate yourself to the world of sports? A. Sacrificar cosas para poder dedicarnos al mundo del deporte, no muchas. Al deporte olímpico, sí. En realidad, durante el día a día no te das cuenta pero cuando te pones a analizar… ves que tardas el doble que tus amigos en sacarte una carrera universitaria, que te has ido perdiendo cenar, aniversarios, cumpleaños, bodas… También sacrificas tiempo en familia. Claro que sacrificas cosas, pero también ganas otras. Mientras sepas mantener el equilibrio, vale la pena. Q. ¿Cuál es vuestro mayor sueño como deportistas? ¿Algún reto que tengáis en mente? A. I suppose that the greatest dream of any Olympic athlete is to win a medal. We are not less! So we are working on this to get to Tokyo in a position to get one. Q. What role does sport play in society? A. From our point of view and because of the sport we are dedicated to … sailing is a minority sport, so we believe that sailing does not have much direct impact on society. The biggest impact you can find are the big events like the Copa América or the Volvo Ocean Race (round the world sailing). They are events that move a lot of money and that, in the case of the Volvo that lasts a few months, do move many influences. Q. What role do sponsorships play in sports? How do you value that large or small companies dedicate part of their budget to sports sponsorship? A. Sponsorships, in the world of Olympic sailing that is our case, are vital. Sailing is a very expensive sport because, apart from what each championship costs, you have to add the material and the transport of the boats to each site. In addition they are also very important for the realization of the events, since few times the organizers can afford the expense generated by organizing the championships. We believe that the fact that companies dedicate part of their budget to sports sponsorship is very positive and more so for minority sports that receive so little help from the Government. Sport is one of the pillars that most affect our society and sponsorship is vital for athletes -one of them- to achieve their dreams. A book: The Golden Lily. It is the story of an Olympic sailing champion in London 2012. She is from China and tells how she has lived her life there. Very interesting!